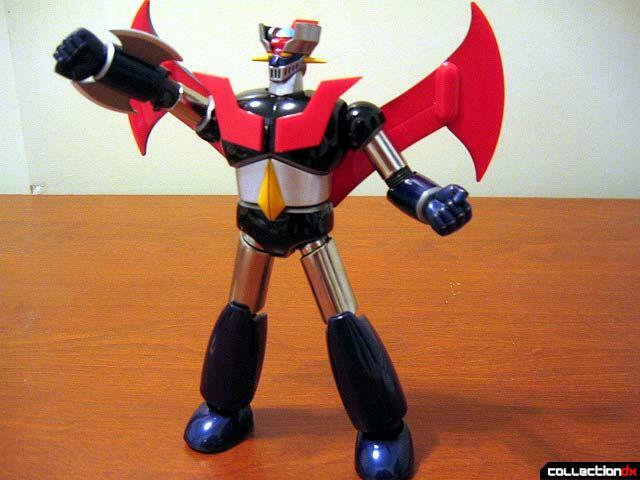 which make him, doesn't look that much anime accurate this way. 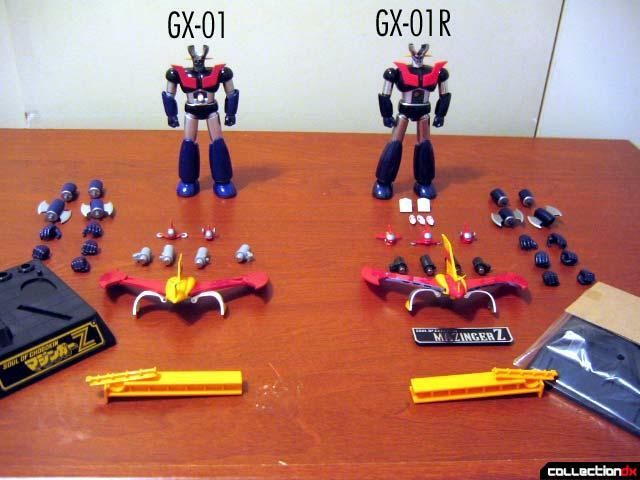 everything, (except the box itself, lol) and three tiny red Hover Pileders. 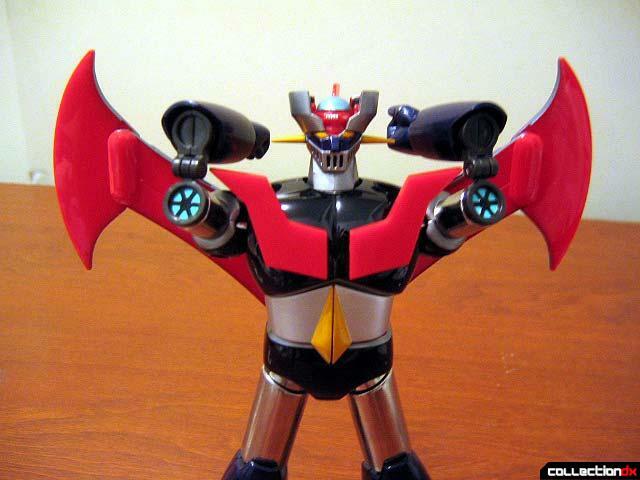 One of them can be put on to his head. 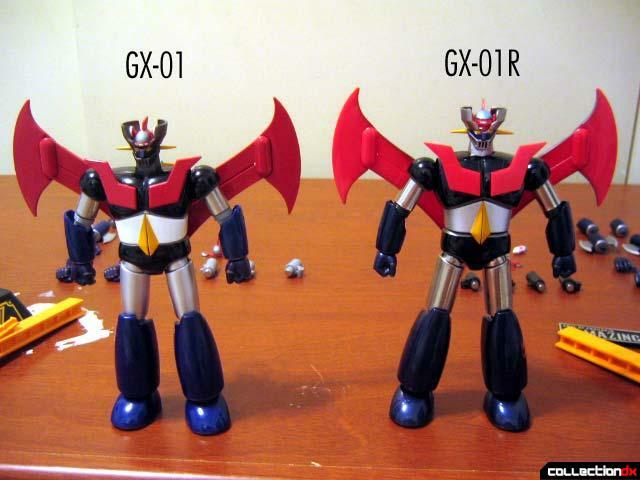 same, but GX-01R has longer upper legs and upper arms. it up, which makes the value of built set went down a lot)! 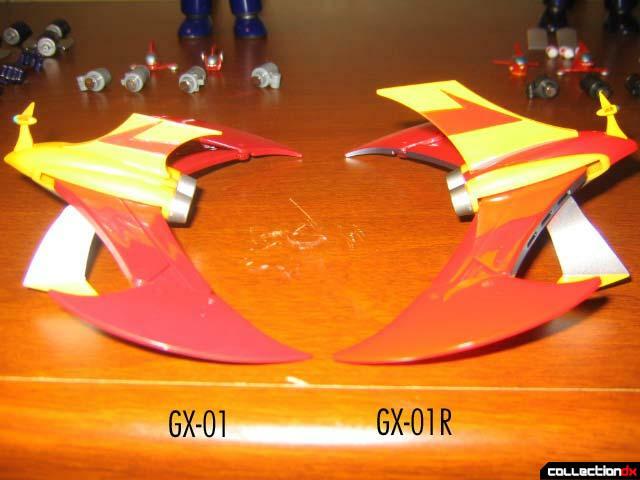 bodies, the GX-01 has a more "bulky" look in comparison with GX-01R. all. 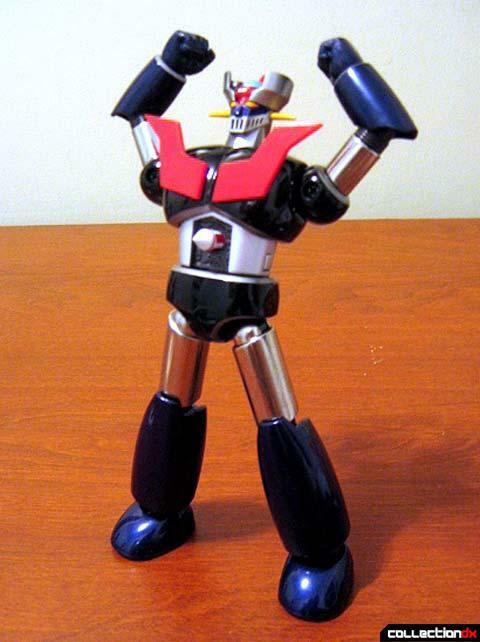 In my opinion, this toy is one of the must have for robot collectors. 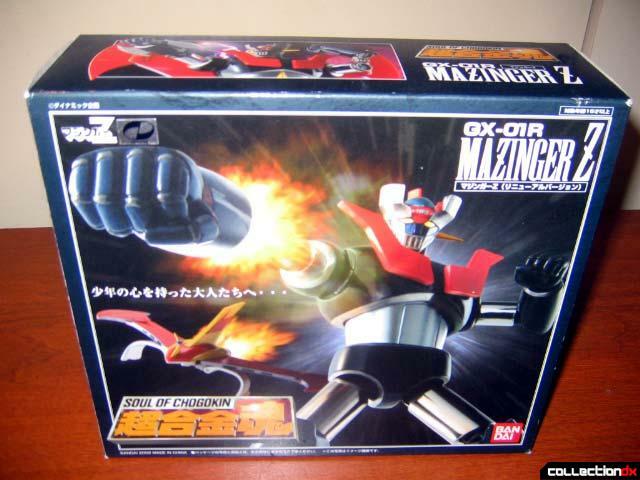 I will rate it 85 out of 100.
the hight so It would look in proportion to the Mazinger ladies and Great Mazinga. 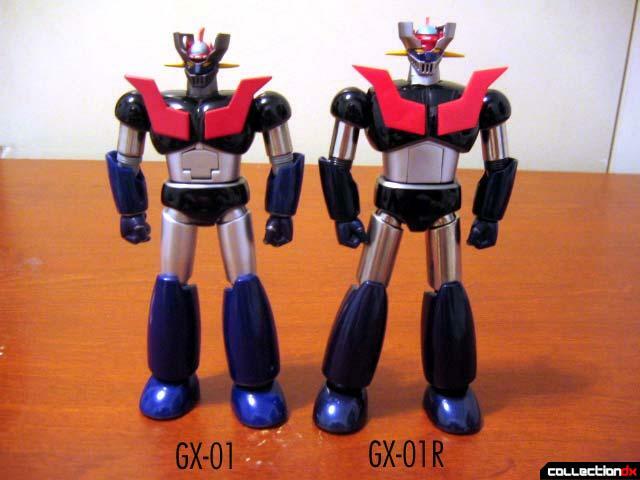 The GX-02R was released in October 2002 with a retail price of Â¥7140.